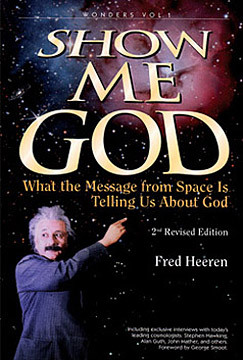 Drawing from his interviews with the Nobel prize-winning scientists who skeptics most respect, Heeren tells the story of the greatest discoveries in space science — pointing to a universal beginning and a Creator who finely tuned the universe for our benefit. Learn how to turn stumbling blocks into stepping stones toward faith. 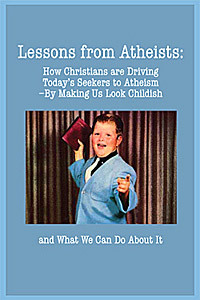 Great gift for a skeptic or evangelist! "This cutting-edge book explores creation where science and religion ask the same questions and think the same thoughts." — George Smoot, Ph.D., co-winner of 2006 Nobel Prize in Physics for detection of cosmic "seeds"
To read additional reviews from notable academics, ministries, scientists and more — Click Here. This free booklet provides a handy way to learn about — and share with others — the recent history, experiments, lessons learned, fossil news stories, new goals and strategies, and current evangelistic projects of Day Star Ministries. —We want to raise both the scientific and theological standards used by the Church, to encourage more care in our exegesis and application of God's Word. We want to remind Christians of the words of Christ: "Blessed are the merciful," "Blessed are the peacemakers," "Judge not, that you be not judged," "All the Law and the Prophets hang on these two [love] commandments." We want to lead people to ask: What kind of a world would we have if everyone actually followed those words? —There are really only two steps between an atheist and me. Once we take the first step and recognize the purpose this universe clearly displays, then the next step we can take, the one I've taken, is to commit ourselves to the best we can find to explain that purpose, among all philosophical systems and claims of revelation. The one that best fits both the conscience and the needs of human beings. I find that in Jesus Christ and his unique message.